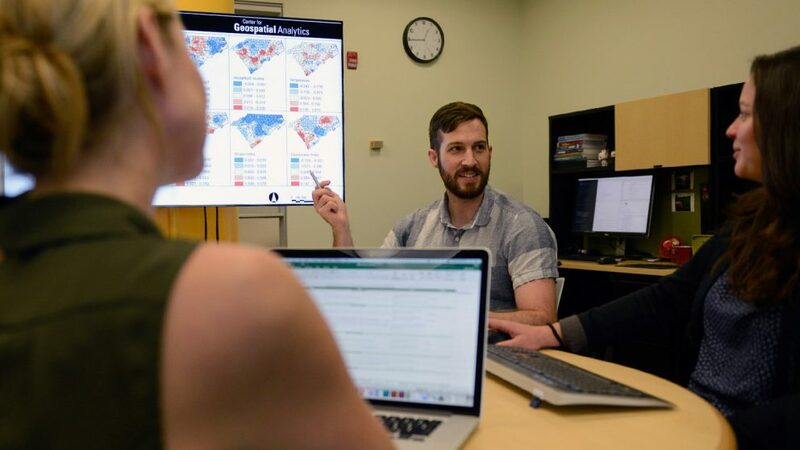 The Center for Geospatial Analytics serves as a collaborative hub for data scientists from different domains, united in their pursuit of new frontiers. 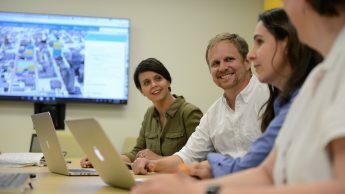 Our interdisciplinary faculty boosts student engagement — and expands our reach as educators and researchers. The world’s grand challenges don’t conform to neat categories, so neither should our study of them. That’s why research at the Center for Geospatial Analytics is interdisciplinary by design. And it’s why our work attracts experts from across the data sciences and beyond. The center is home to faculty fellows and researchers from eight of NC State’s colleges and more than twice as many academic departments, along with visiting scholars from around the world. 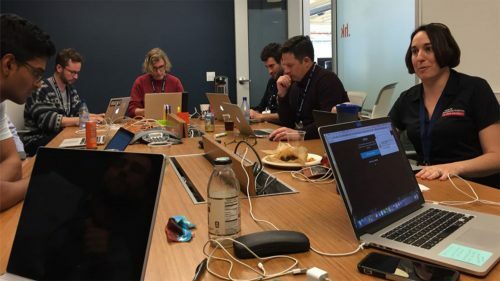 Ours is an environment where leading researchers learn from one another, meld their expertise, and apply what they discover to improve real-world decision-making — all as they prepare and mentor the next generation of geospatial professionals. Below, you can explore the directory of directors, administrators, faculty fellows, research practitioners, scholars and graduate students who make up the Center for Geospatial Analytics at NC State. This professor of marine, earth and atmospheric sciences is the center's associate director of geovisualization, a faculty fellow and one of the key minds behind Tangible Landscape. Led by this teaching assistant professor, an interdisciplinary team of hackers went to Washington D.C. to present their GOBot (Great Outdoors Bot) to President Obama. 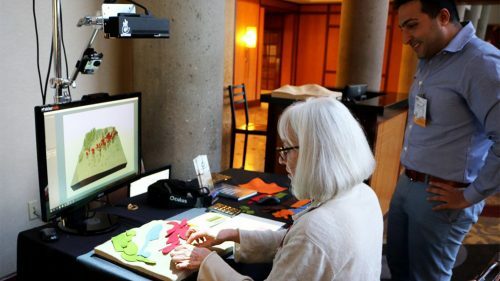 The landscape architect and Ph.D. student from the College of Design develops high-tech tools to unleash the creativity of professional and amateur designers alike. This civil engineer and center graduate student has patented an innovative approach to roadway design that could reduce drivers’ risk of hydroplaning. 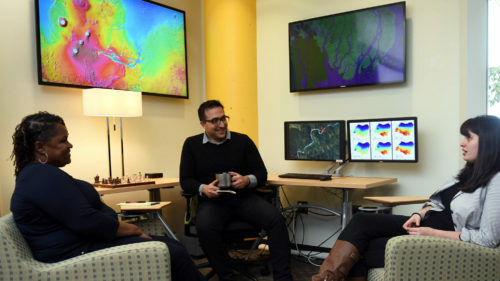 The Center for Geospatial Analytics brings together bright minds to tackle the pressing challenges of disciplines as varied as urban planning, history and natural resource management. While those different fields demand the application of different geospatial tools and technologies — or the development of entirely new ones — they all benefit from the center’s dedicated research groups pursuing discovery at the frontiers of geospatial analytics. 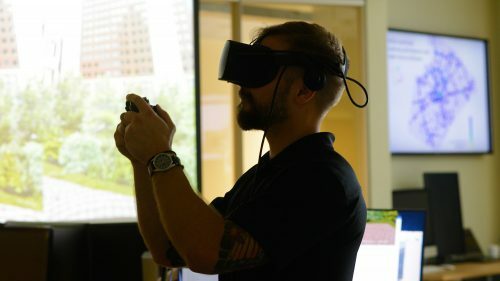 The GeoForAll lab, for example, is a collaborative enterprise of multiple faculty members, graduate students and visiting scholars who are committed to making geospatial education and opportunities accessible to all. 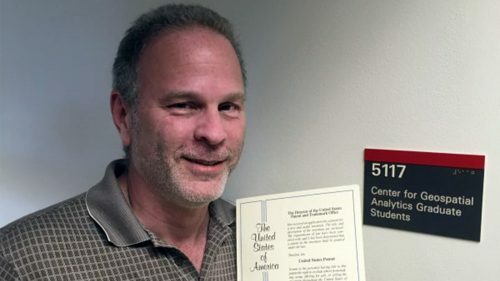 They’re one of 116 laboratories worldwide dedicated to open source geospatial science — and the central node for North America. 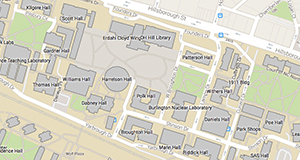 Our world-class faculty members ground students in the theory and practice of geospatial analytics — and inspire them to pursue groundbreaking research of their own. 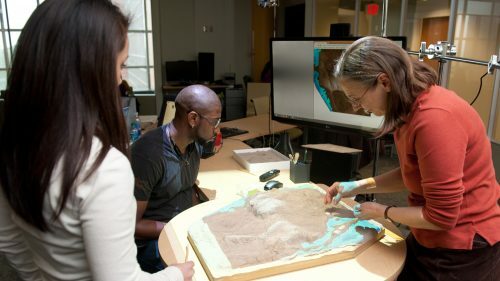 Researchers at the center work tirelessly to expand the frontiers of geospatial analytics, developing the tools and technologies that stakeholders can use to solve problems. 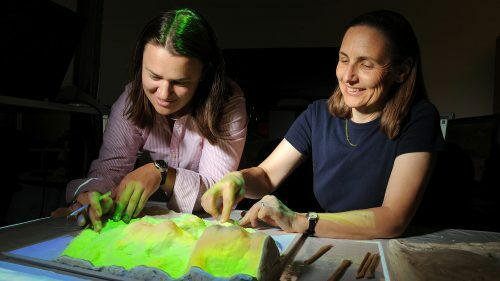 The center’s talented specialists offer customized training and support services, and build partnerships to drive innovation in geospatial research.